Get a free quote, or book a trip below. 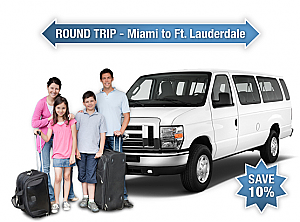 Service area: Port of Miami, Fort Lauderdale, Fort Lauderdale Beach Hotels, Fort Lauderdale / Hollywood International Airport (FLL). Service area: Miami Beach, Miami International Airport (MIA), Downtown Miami, Brickell, Coconut Grove, Coral Gables, Key Biscayne, South Beach, Doral, Aventura, Fort Lauderdale Beach Hotels, Fort Lauderdale / Hollywood International Airport (FLL). Service area: Miami International Airport (MIA), Miami Beach, Downtown Miami, Brickell, Coconut Grove, Coral Gables, Key Biscayne, South Beach, Aventura, Port Everglades Cruise Ship Seaport in Fort Lauderdale. Service area: Fort Lauderdale / Hollywood International Airport (FLL)Fort Lauderdale Beach Hotels, Port Everglades Cruise Ship Seaport in Fort Lauderdale. Service area: Port of Miami, Miami Cruise Ship Seaport, Miami International Airport (MIA), Miami Beach, Downtown Miami, Brickell, Coconut Grove, Coral Gables, Key Biscayne, South Beach, Aventura. Service area: Fort Lauderdale / Hollywood International Airport (FLL), Fort Lauderdale Beach Hotels, Dania, Hollywood, Davie, Fort Lauderdale.